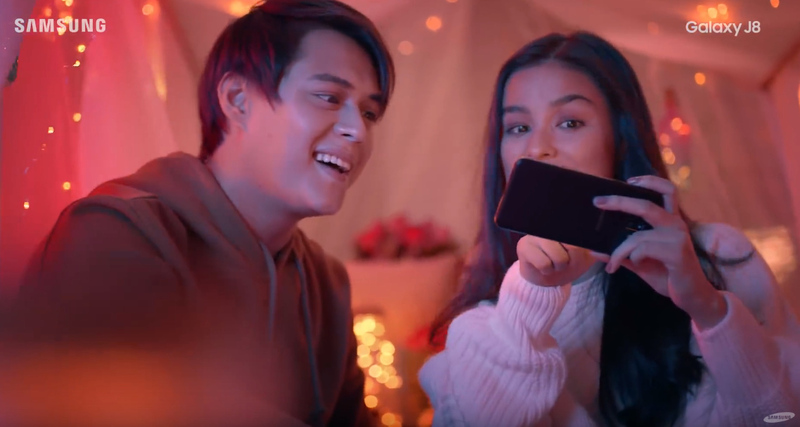 Samsung Galaxy J8 of Enrique Gil and Liza Soberano : Does LizQuen Have A Good Smartphone? "Is that a good smartphone, Kuya Mac?" That's the question that my younger brother asked me earlier this evening after we both saw the new Samsung Galaxy J8 Android smartphone television commercial featuring Kapamilya Love Team Enrique Gil and Liza Soberano (also known as LizQuen) on ABS-CBN Primetime. Good thing I've already been able to play with this handset model for quite a while to be able to give a quick assessment about its capabilities. So I told him, "Given its PHP 15,990 price tag, I think this smartphone's key features are good enough. ; Not excellent or above average -- just good enough. 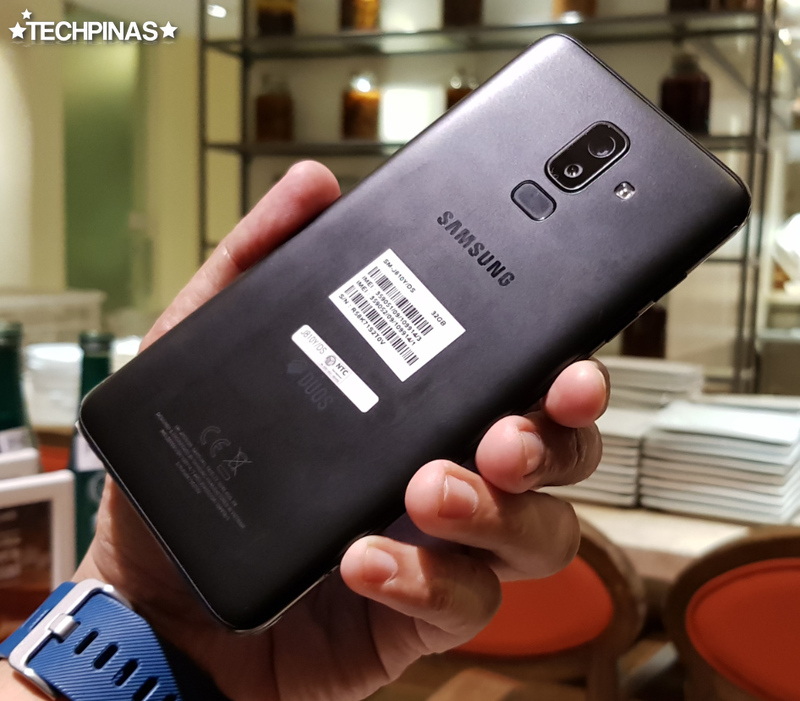 The truth is, if you're just looking at it on its own - that is, without comparing it to its competitors in the market - it's alright; Still worth getting if you're a big Samsung fan." Obviously, I'm not as smitten as LizQuen is with this handset -- but I do appreciate some of its charms. Actually, my main criticism of the Samsung Galaxy J8 is the mere HD+ or 720 x 1520 pixels resolution of its tall 18.5:9 6-inch SuperAMOLED display. If it had a FullHD+ panel, it would have been easier for me to recommend this model without hesitations. Considering that Samsung Galaxy J7 Pro from 2017 already had a FullHD screen, it's just odd that the Korean Giant had chosen to give this update a larger albeit less crisp display. It's like taking a step forward then moving two steps back. 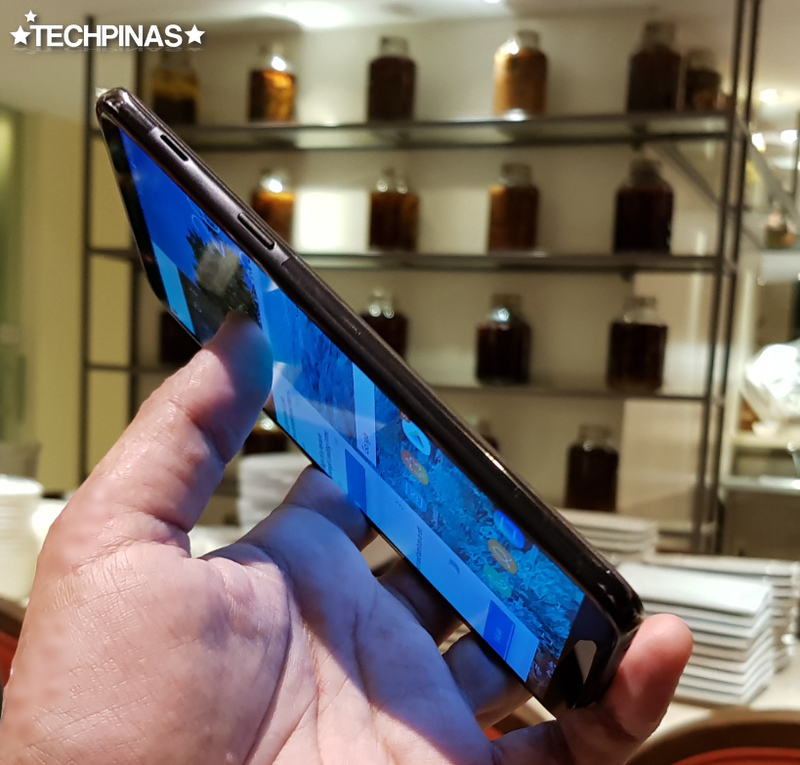 As for the phone's shell, it's crafted from polycarbonate like what's on other J-Series Galaxy phones and footprint is largely the same as that of the aging J7 Pro. I kind of wishing that it was made of aluminum or glass instead but I'm not really complaining. The design characteristics that will immediately tell you that this is a 2018 model are the 'squircle' Dual Camera module at the back and the fingerprint scanner below it. Other J-Series and A-Series phones this year have these elements too. 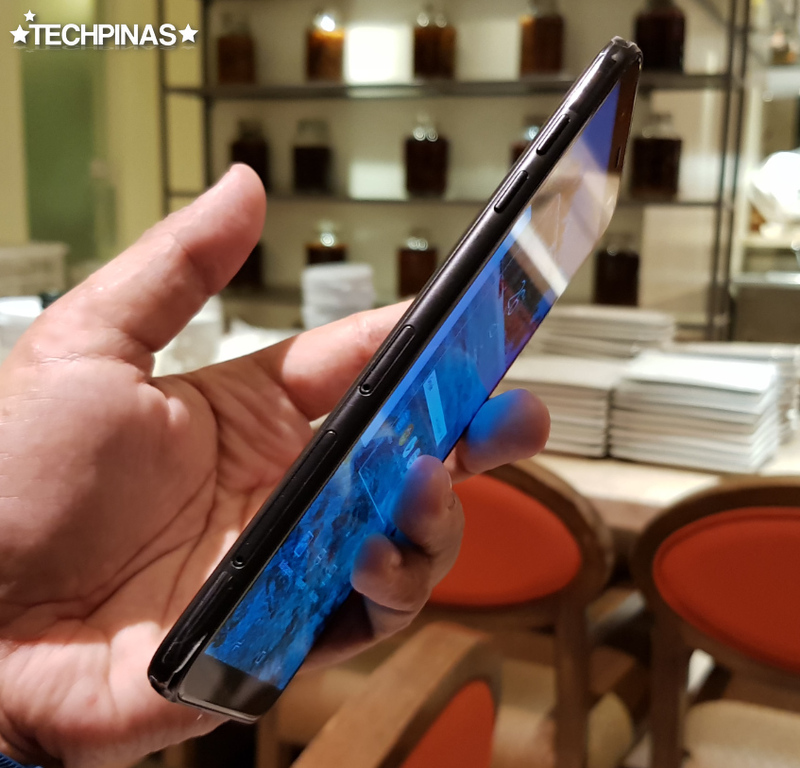 Measuring 8.2 millimeters at its thickest point, Samsung Galaxy J8 has a pretty thin profile for a smartphone with such a large screen. Though the company could have made the device slimmer by trimming the front bezels, the handset - as it is - is still a joy to hold and to keep in the pocket. On the left panel, you will find the Volume Up and Down buttons as well as the trays for the Dual nanoSIM card slots and the dedicated microSD card slot. On the right panel, there's the loud speaker above the power button. 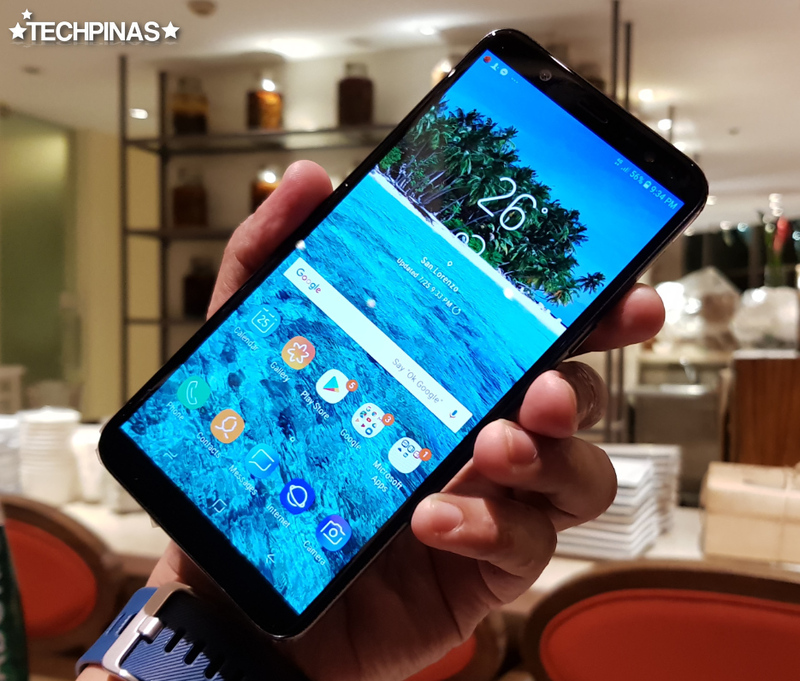 As some tech bloggers and reviewers have noted, this is an odd or weird placement for the loud speaker -- but I actually prefer it over having the speaker at the back of the handset. That said, this gets a thumbs up from me. 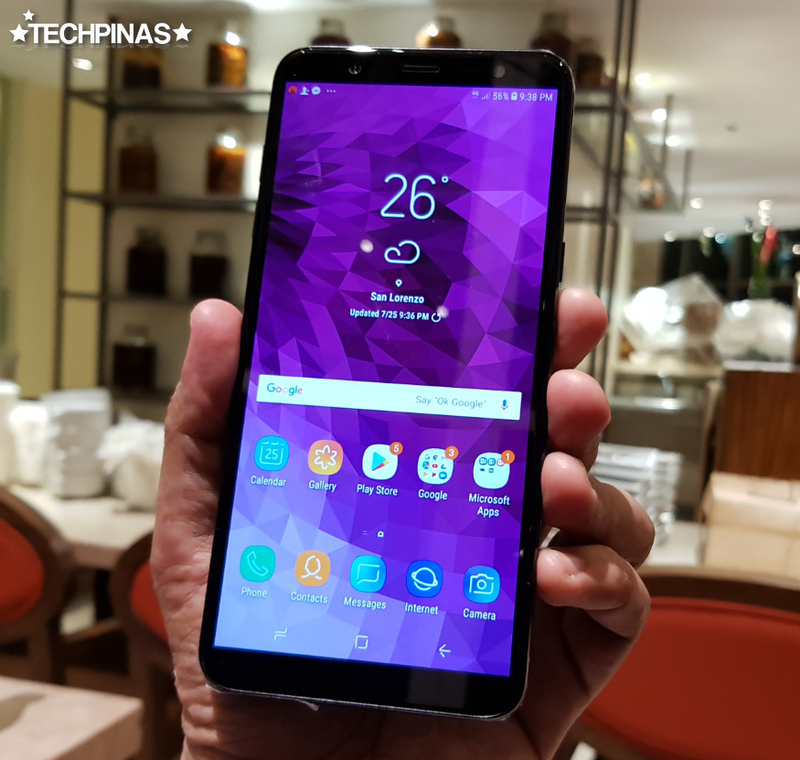 Another positive thing about this model is its two-camera set-up at the back, which is made up of a 16 MegaPixel f/1.7 primary shooter plus a 5 MegaPixel f/1.9 secondary depth-sensing camera. This combo enables virtual bokeh effect on Portrait shots wherein the subject's background is beautifully blurred. It's a nice feature to have in your cameraphone but to be honest, I hardly use it. What I really appreciate about this imaging module, though, is the wide f/1.7 aperture of the main shooter, which gives it stellar low light performance. This is also highlighted in the LizQuen TVC. Oh, if you also love to snap selfies, you'll be glad to know that the 16 MP f/1.9 front camera has Soft LED flash, which comes in handy when you want to take photos in dim lighting conditions like in bars and cafes. I noticed that the front LED flash is becoming rare in handsets these days. 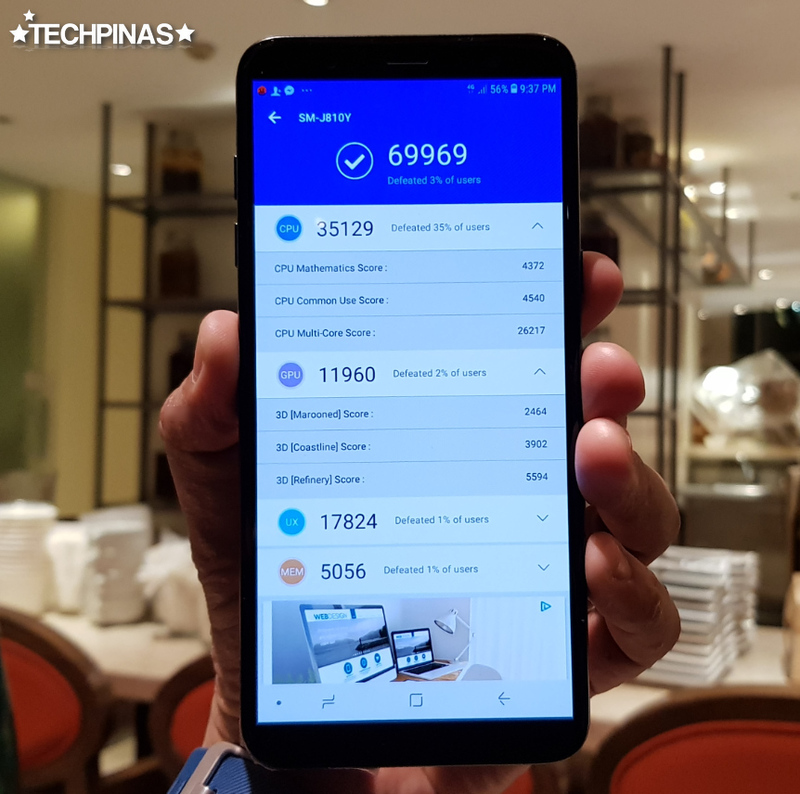 Now, jumping to internal hardware, Samsung Galaxy J8 2018 runs its heavily customized Android 8.0 Oreo operating system with a 14nm Octa Core Qualcomm Snapdragon 450 processor with Adreno 506 GPU that's complemented by 4GB of RAM and 64GB of ROM. Together, these innards give this model an Antutu Benchmark Score in the range of 69,000 to 70,000. Looking at the 'marks breakdown', it appears that there's a lot to be desired in terms of J8's graphics performance. As such, I'd say it would be good for the user to temper his or her expectations on this model's gaming performance. 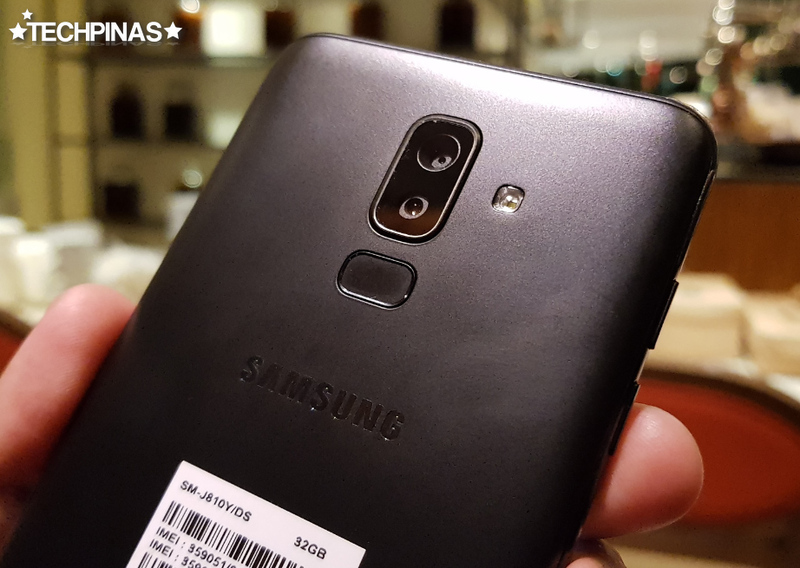 Does LizQuen have a good smartphone in Samsung Galaxy J8 2018? Looking at the handset in a vacuum - that is, without comparing it to similarly priced 2018 models by other brands - it's just alright. It's not a tremendous upgrade coming from the Galaxy J7 Pro 2017. Now, when we compare it to competing releases by Huawei, OPPO, and Vivo, ah it's a totally different story. Let's just say, Samsung really needs to level up in the midrange category moving forward or those brands will completely leave the Korean Giant in the dust.